(MP221). Frank Watson Wood (1862-1953). 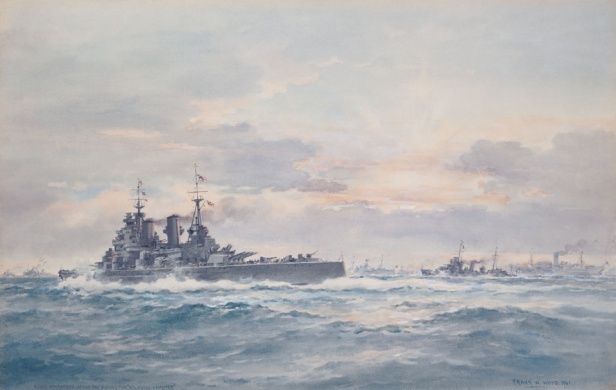 Watercolour signed and dated 1941 (LR) and inscribed "Bound Homewards after the signing the "Atlantic Charter"" (LL).